Let Rolling Meadows Commercial Landscape help you beautify your business world. 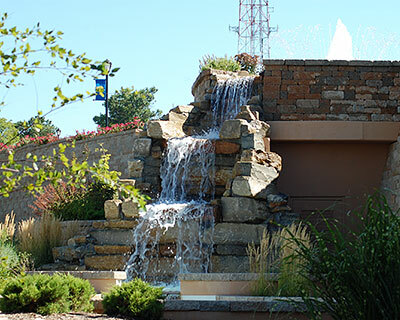 Our designers can help you with the latest in irrigation design, landscape lighting, bio basin development and simple beautification efforts on your commercial property. Of course we can also handle your commercial landscape maintenance needs as well, such as, snow removal, plowing, leaf collection, lawn mowing, sprinkler winterization, fertilization, and aeration/verti-cutting. Let us help you create a space that let's your tenants or employees connect to the outdoors. Whether you have a mature site or brand new construction, our consistent, reliable service can bring a cohesive well-tended look to your sites, enhancing curb appeal and encouraging increased traffic or occupancy. Boost the image of your company by having your landscaping professionally designed and maintained.�Contact Rolling Meadows Landscape to discuss your businesses needs.